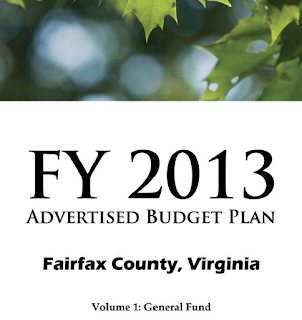 On Tuesday the Fairfax County Board of Supervisors made final decisions on the FY 2013 budget. Despite hearing from over 300 cyclists who asked for some funding for the Bicycle Program, the Board refused to allocate any operating funds to the program. The program received $375,000 in FY 2009, $204,544 in FY 2010, and $0 in FY 2011 and 2012. According to Fairfax Co DOT,"FCDOT has significantly reduced its participation in program outreach due to budget limitations. It's not all doom and gloom. While we were very disappointed by the lack of operating funds, that doesn't mean there is no money for bicycle-related activities and projects. Funds from the Commercial and Industrial tax are dedicated to bike projects, primarily the Gallows Road bike lanes. Funds are also available from that source for pedestrian and bicycle projects, most of which are pedestrian access projects around Silver Line Metro stations. Read about the Bicycle Initiative on page 164 of the FY 2013 budget. The first ever Countywide Bicycle Master Plan is fully funded and should be completed this summer. However, without proper program funding or staff, we're concerned that the Countywide plan could meet the same fate of the Tysons Bicycle Master Plan which was completed in Feb. 2011 and has been sitting on the shelf ever since. It has not been approved by the Planning Commission or Board of Supervisors. Read the FCDOT's response to Supervisor Foust's questions regarding the Bicycle Program. As I was riding home from work yesterday I had the same scary encounter on a stretch of Vale Rd that I do almost daily. The same stretch where the police have repeatedly told me there is nothing they can do. This is a no-lose scenario for them. So long as people are afraid to bike they won’t get out there and ask for more services. Fear begets budget savings (and obesity, heart disease, diabetes, dementia, work absenteeism, traffic congestion, etc.). While most other comparably-size jurisdictions around the country forge ahead with providing essential support for bicyclists, Fairfax County, one of the wealthiest in the nation, does nothing. Literally nothing! We obviously didn’t make the case for quality of life. But to ignore the safety aspects, I think, abdicates their responsibility as the leaders of our community. The next fiscal year is obviously already lost. The only way they possibly salvage things is to approve the County Bicycle Plan.